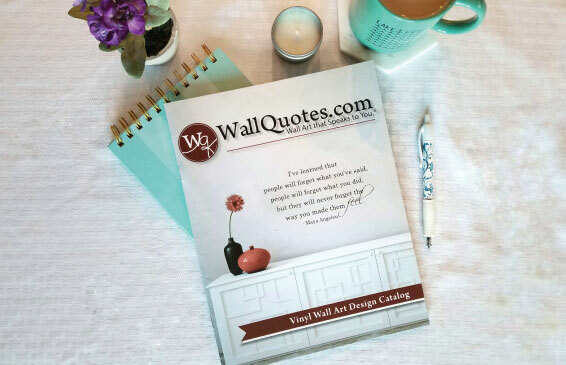 Order our beautiful, full-color, 48-page catalog featuring our best-selling wall decal designs so you can browse at your convenience, take it with you to a friend's for tea, make notes in the margins, and enjoy. 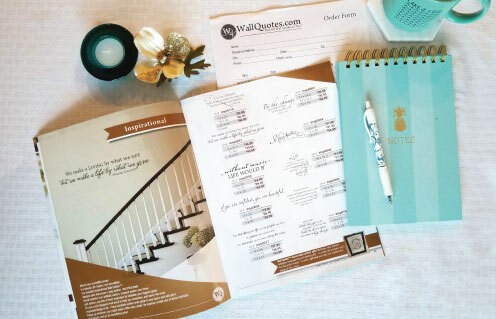 PURCHASE a printed catalog. Full-color glossy pages, professionally bound. This includes an order form and a $10.00 coupon for your first order. Cost: $5.00 to cover printing and delivery costs. 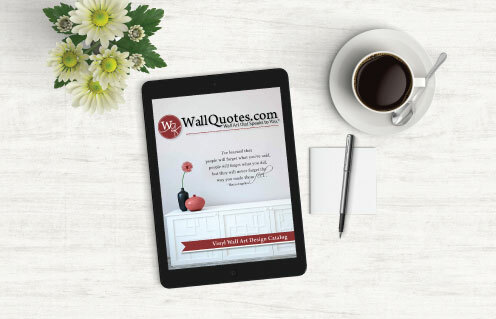 DOWNLOAD a copy of the catalog for FREE. 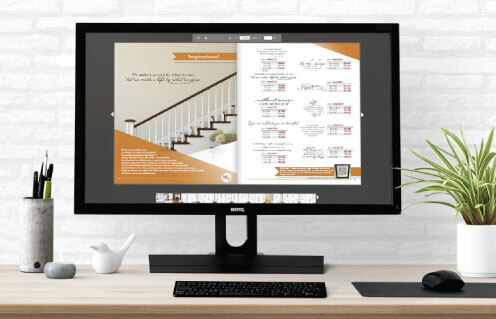 Browse on your own device at your leisure, print it out at home, or take it to a copy shop to have it printed and bound - whatever works best for you. *Remember, everything featured in the catalog is available online. To see all of our designs, including our latest and greatest additions, please browse via the website. And we're always happy to work directly with you via email, or phone, on a custom project or design. "Wall Art That Speaks To You", and "Belvedere Designs" are Registered Trademarks owned or licensed by Belvedere Designs, LLC. © 2006-2019 Belvedere Designs, LLC All Rights Reserved.